Prices for Huggies and Pampers are on the rise. Shopping for baby is about to cost parents more. The top makers of diapers say they will raise prices because the cost of raw materials is going up, the Wall Street Journal reports. Kimberly-Clark Corp. says it will raise prices on Huggies diapers and wipes by 3 to 7 percent. 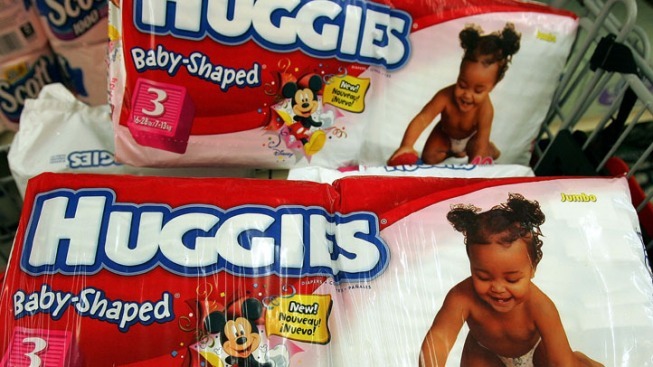 Procter & Gamble will bump Pampers prices by 7percent, and its wipes by 3 percent. But analysts say neither company will likely see a drop in sales. Turns out parents will not shop around for a cheaper brand when it comes to products for baby. In a recent survey, just 10% of consumers said they switched to a cheaper diaper brand, and no consumers reported switching brands of baby food. For other products in the home, brand loyalty does not run as deep. When bleach or liquid soap goes up, nearly a third of consumers will switch to a cheaper brand. Consumers can expect to see rising prices in some other paper products: Kimberly-Clark produced Kleenex, Bounty paper towels by Proctor & Gamble, and Charmin toilet paper are all likely to start costing more at the store.